In 1987, Nike changed running footwear forever with the introduction of the Air Max 1. The legendary runner immediately cemented its place in history thanks to never-before-seen, visible Nike Air cushioning. Since then, the iconic upper of the Air Max 1 has been a repeat canvas for innovative design. Now almost three decades later, the sneaker that started it all is introduced with Nike Flyknit construction. Brought to life by footwear designer Ben Yun, the Air Max 1 Ultra Flyknit and its latest evolution required more than just a simple re-creation of the upper in knit fashion. The design took Yun's precise attention to detail and sharp, inventive sensibilities to truly come to life. 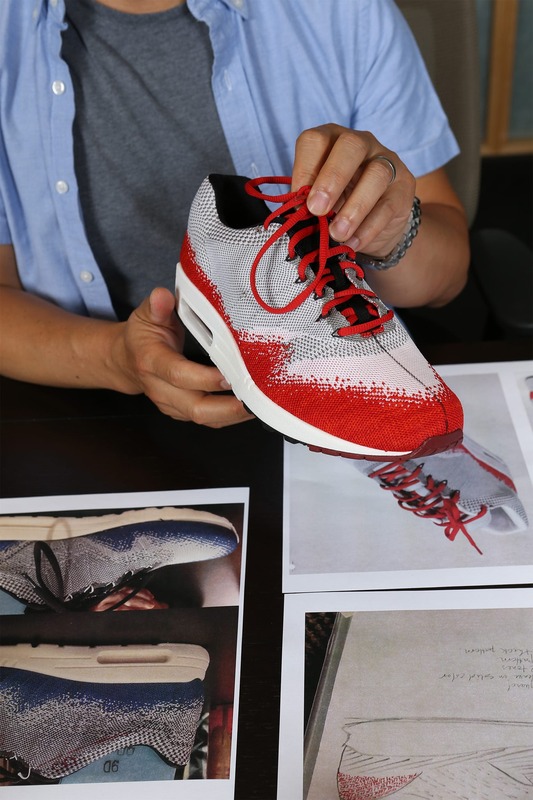 When it came to making the Air Max 1 Ultra Flyknit a reality, the process began with creating a knit pattern that worked for the unique upper design of the original. 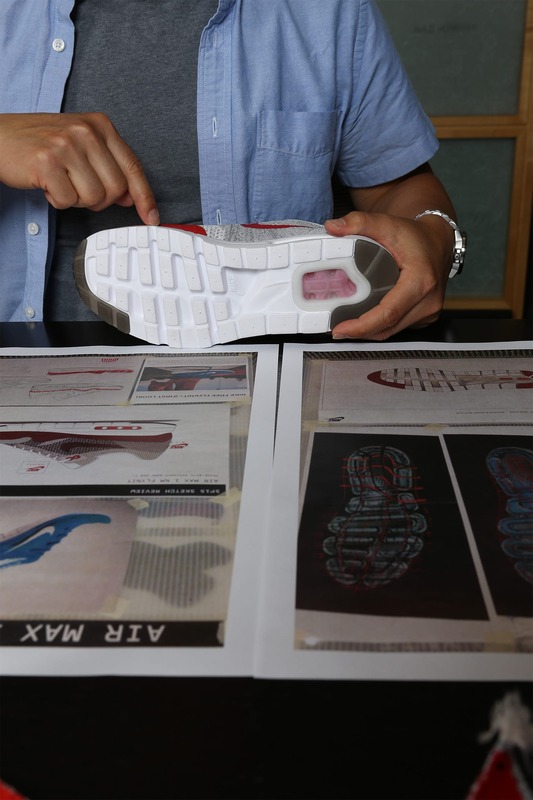 "The main thing was capturing the original Air Max 1's design lines", revealed Yun. Since Nike Flyknit technology is such a unique construction process, capturing the original model's design lines was no easy task. The journey began with Yun attempting to nail down a Nike Flyknit pattern that captured the essence of the Air Max 1. 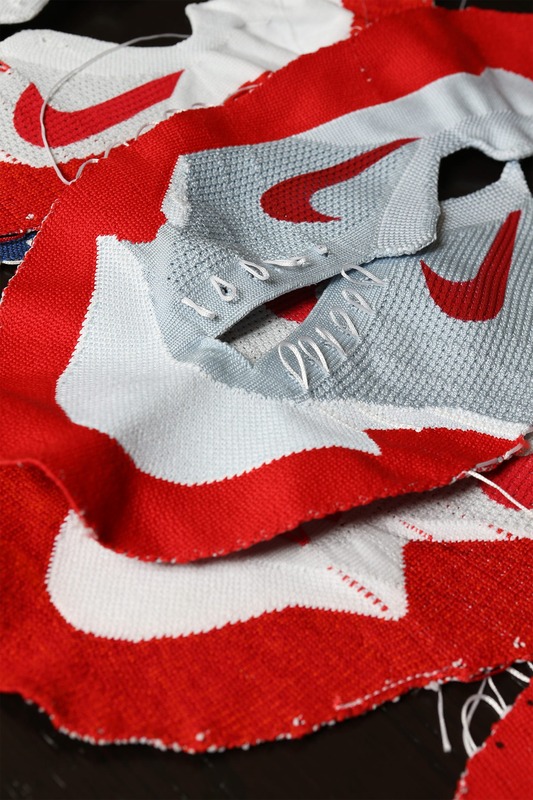 The process began with a fully-knit sample featuring a pixelated mudguard. While the pixelated iteration underscored the idea of innovative nostalgia, the team felt it could move closer to the original design lines of the Air Max 1 while further refining the design. Looking to capture a sharper appearance true to the first edition of the icon, the process moved forward with a knit upper and a Hyperfuse mudguard. 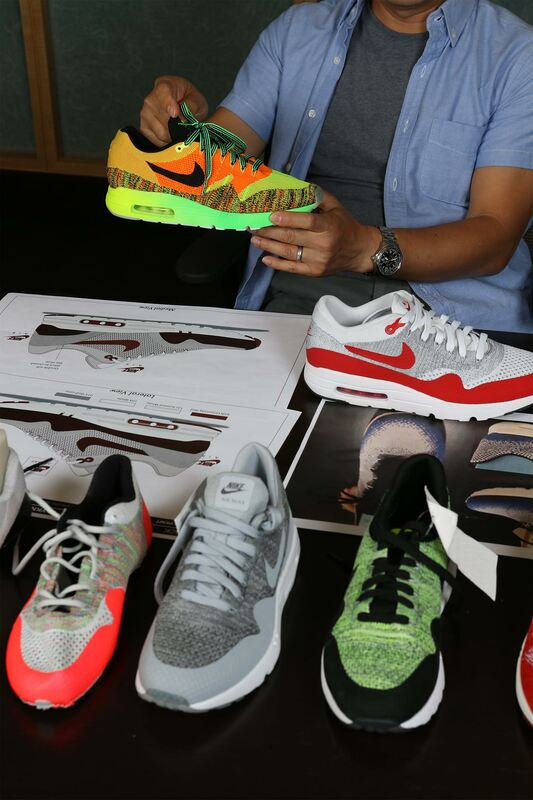 "We had to use Hyperfuse to give it that line…the most iconic Air Max 1 line", Yun expressed. The added Hyperfuse overlay created additional support and structure, while also providing the ideal line. To compliment the lightweight design ethos of the upper, the Air Max 1 Ultra Flyknit features a modern take on the first-ever visible Nike Air tooling. "My inspiration was taking the original tooling and finding how I could make it more flexible, lightweight and also take out all the material that we didn't need", explained Yun. "Basically, we removed all the rubber and further exposed the airbags." In turn, minimal rubber, alongside Nike Ultra technology, was used in the sole to reduce weight and ensure maximum flexibility. 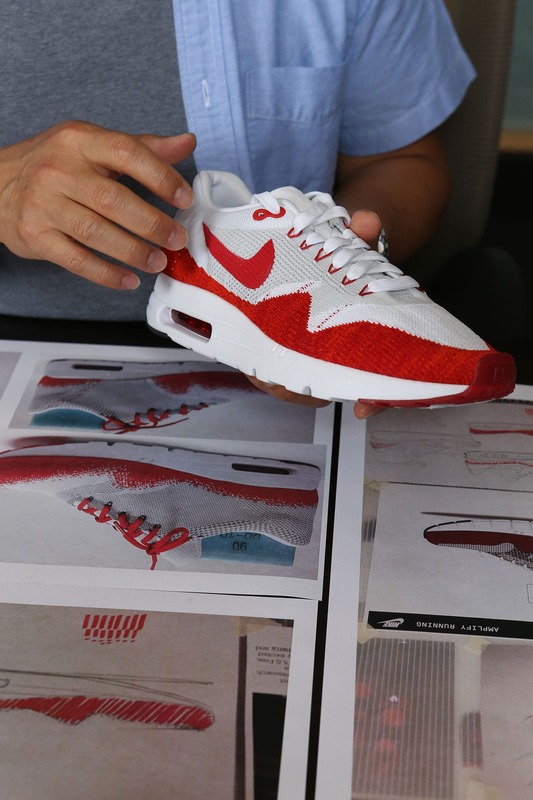 Ultimately, while the new Nike Flyknit upper energises the Air Max 1 like never before, it took a complete package to further evolve Tinker Hatfield's 1987 masterpiece. The benefits of Nike Flyknit and Ultra technology create perfect harmony, ensuring the icon is fit for another era of Air Max 1 innovation.